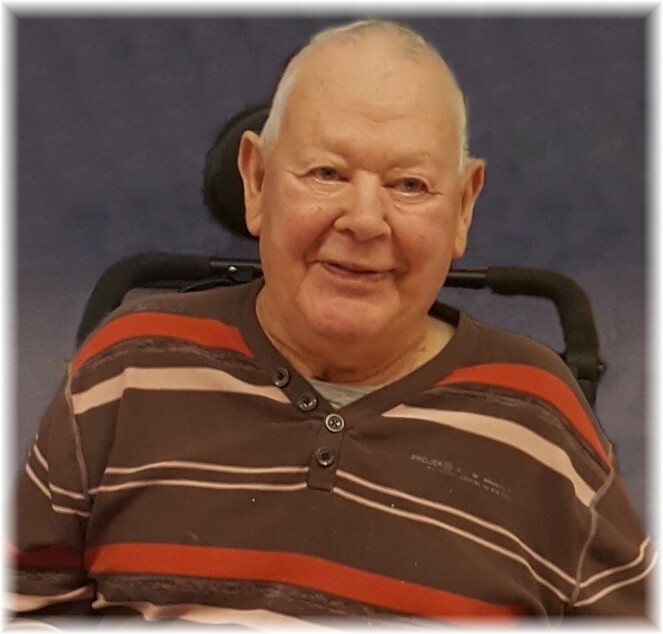 Obituary for George Allan Staniland | Swan Valley Funeral Services Ltd. It is with great sadness that we announce the passing of our dear husband, father, grandfather, great grandfather and brother. After a courageous battle, Allan passed away surrounded by his family who loved him dearly. Allan was born on the family homestead northeast of Minitonas, Manitoba, to George and Edith Staniland. He was raised on a mixed farm and he began his farming career at the age of thirteen. He worked the land and raised many animals including horses, pigs, cattle, and chickens. Allan attended Sinclair River School and as a young man, he enjoyed riding horses, fishing, playing baseball, showing cattle and the occasional friendly game of hockey with neighbours on the creek. Allan also enjoyed playing cribbage and checkers. Once he discovered curling, it became his sport with many league and bonspiel wins to his name. He was even on a team that scored an 8-ender! Allan loved his family - he and Kay were married on July 16,1964 and were blessed with three children – Marilyn (Ron Griffith), Lee (Lynda Leslie) and Bev, many grandchildren and great grandchildren: Tyson (Kattie, Ivy and Scarlett), Amanda (Conrad, Ava and Berkley), Kyle (Michelle, Gabriel), Hillary (Darryl, Lukas), Matthew (Lesha, Athena, Winston), Anthony (Allie, Frederick, Opal). He was a loved brother to Bruce (Donna), Gwen (Fred), Jerry (Diana) and his sisters-in-law and uncle to their families. Allan thoroughly enjoyed fishing trips with family and friends and he and Kay spent many summers at Steeprock Lake. He loved horse racing, the Rangeland Derby, the Toronto Blue Jays and music (we remember his love of yodeling). He was a practical joker and a tease. Allan was community minded, he served on several boards including church, camp, curling, elevator and shipping association. He was also a 4-H leader for many years. His kind heart, gentle soul, constant smile and quick wit will forever be missed. We would like to thank the staff of Swan Valley Lodge and Hospital for their excellent care and compassion. A private gathering for family and friends will be held, with interment, at the Minitonas Cemetery at a later date. If friends so desire, donations in Allan’s memory may be made to the Activities Unit at the Lodge c/o Swan Valley Health Facilities Foundation Inc., Box 1450, Swan River, MB, R0L 1Z0 or a charity of your choice.